Programmable Universal Machine for Assembly, Staublu Unimation, Duncan, SC. b Integrated Surgical Supplies Ltd., Sacramento, CA. cComputer Motion, Inc., Goleta, CA. dIntuitive Surgical, Sunnyvale, CA. Genitourinary surgical procedures, including radical prostatectomy, cystoprostatectomy, and pyeloplasty are examples of the complex operations being performed and perfected with the aid of robotic systems. An image-guided robot system has been developed and employed for transperineal prostate biopsies. Early work focused on utilizing robots to perform transurethral resection of the prostate as well as prostatic biopsies. 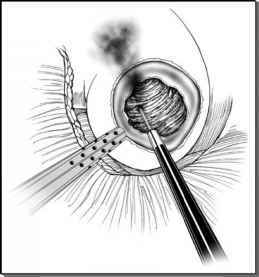 Other applications involve percutaneous renal access and surgery. More recently, a surge of interest in "urobotics" has accompanied the introduction of the da Vinci and Zeus systems (5,8). Challenging genitourinary surgical procedures, including radical prostatectomy, cystoprostatectomy, and pyeloplasty are examples of the complex operations that are being performed and perfected with the aid of robotic systems.